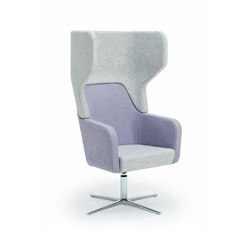 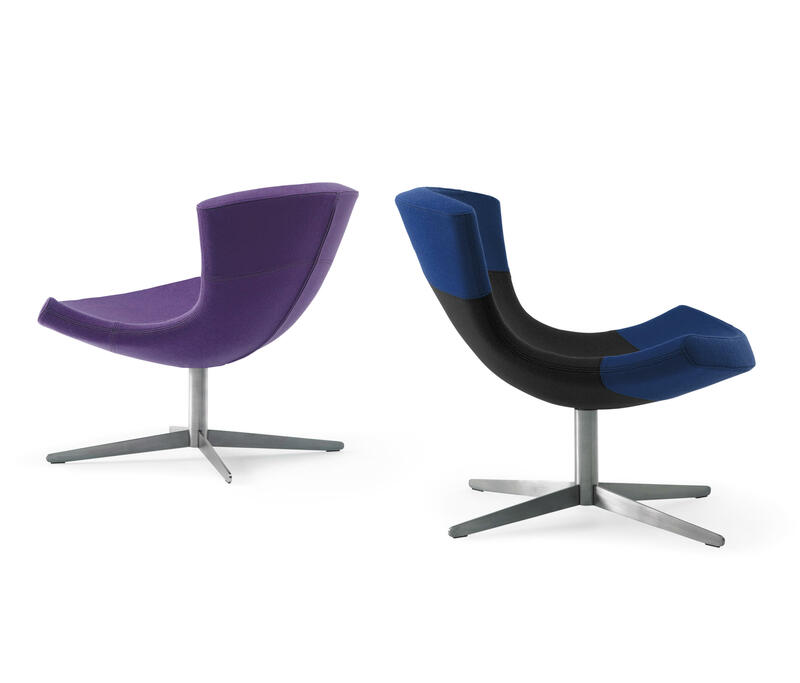 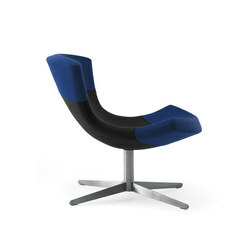 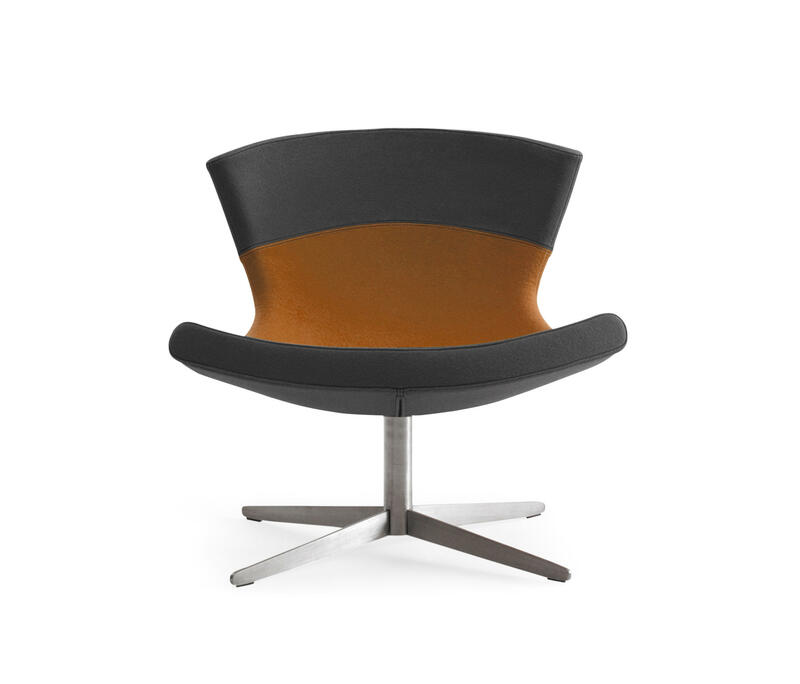 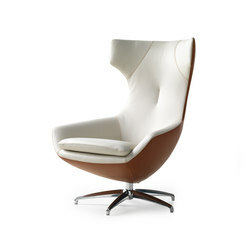 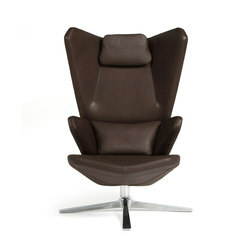 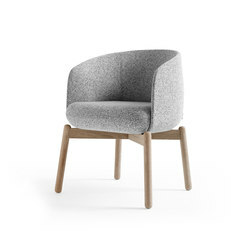 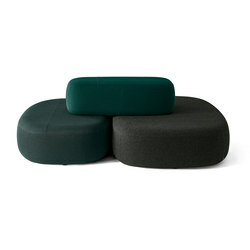 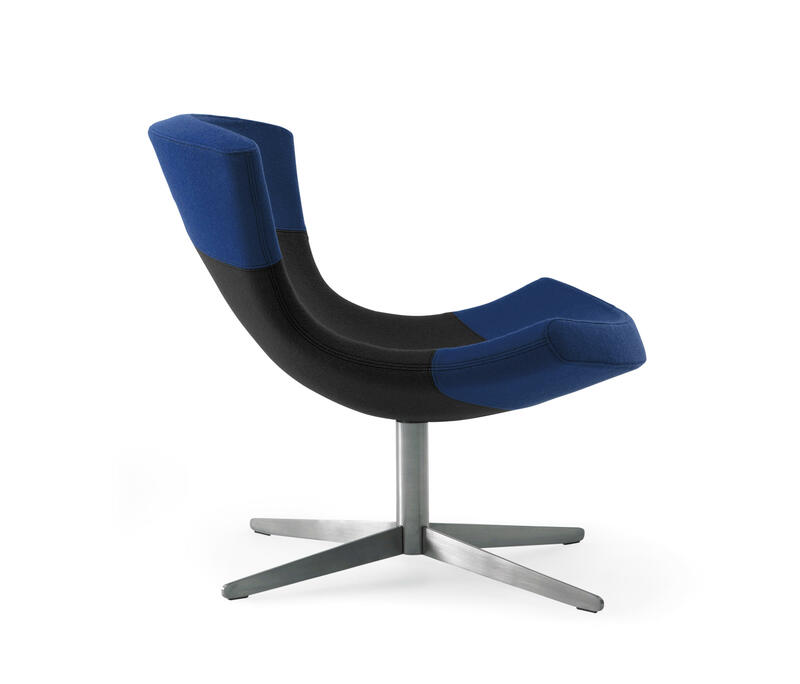 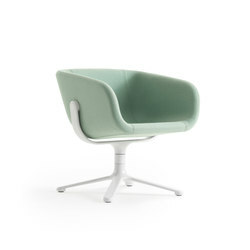 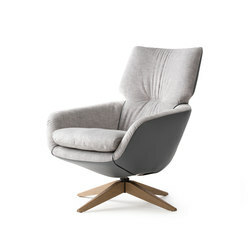 Jet is designed as an authentic lounge chair, where the sitting posture is naturally reclined. 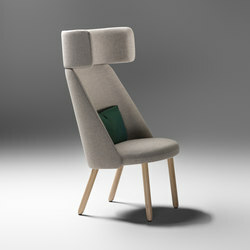 By instinct the arm is put on the back of the chair. 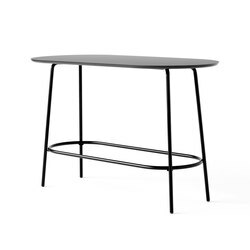 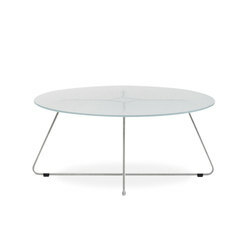 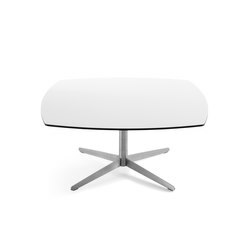 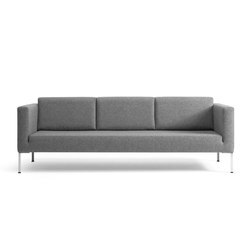 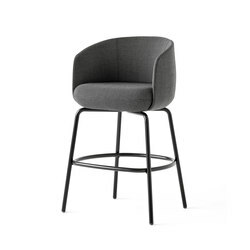 The aerodynamic shape of the seat is underlined by a stainless steel frame, which supports the extreme tips of the crossed base, and gives an impression of lightness and firmness. 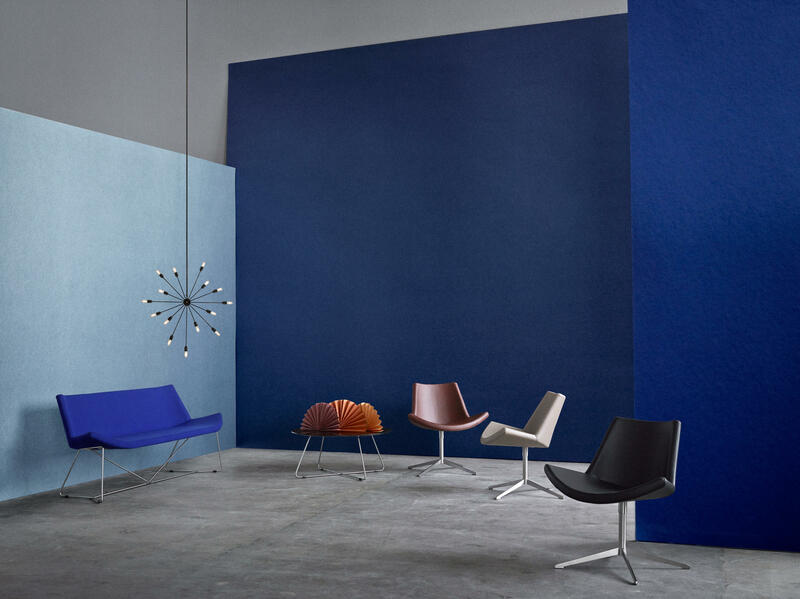 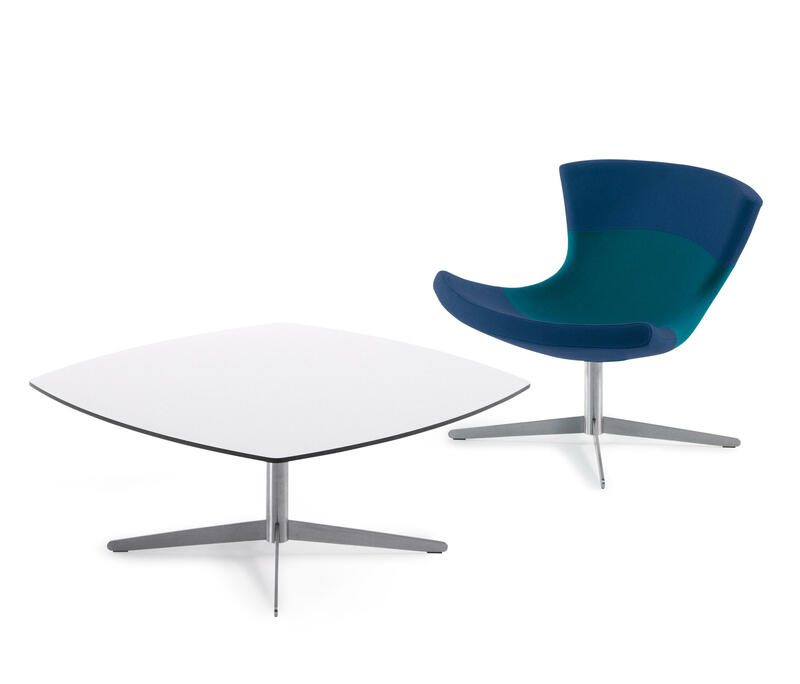 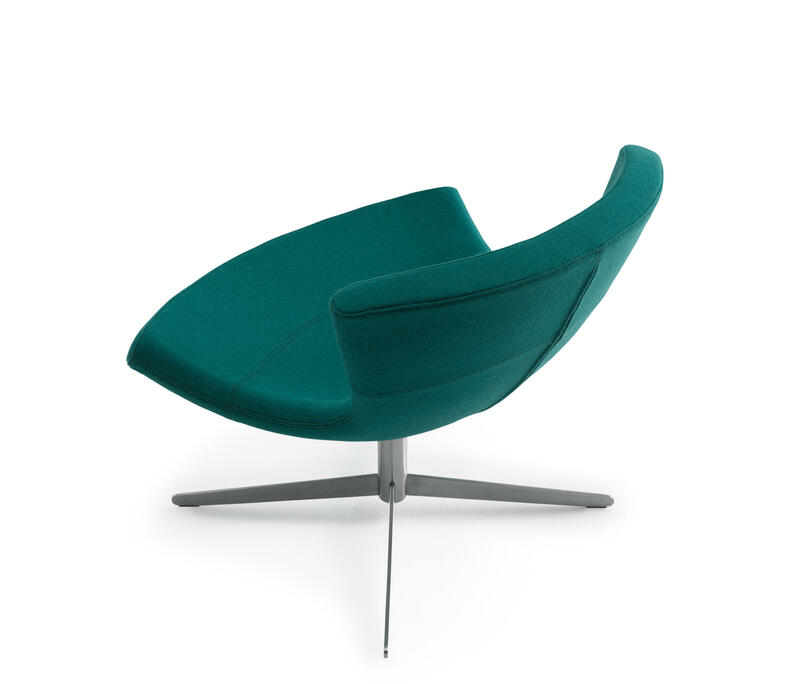 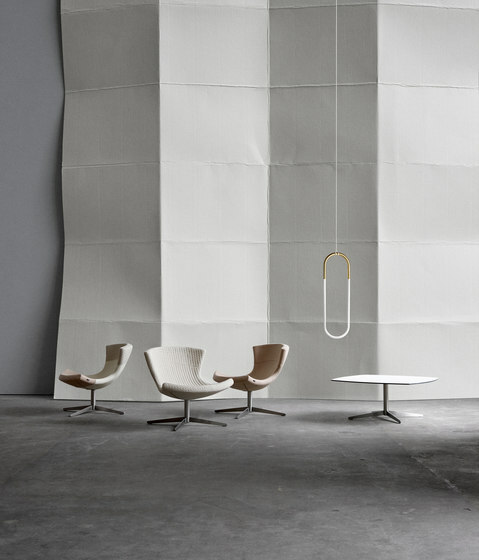 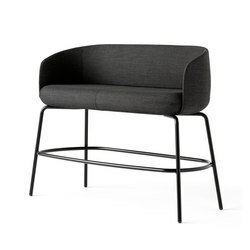 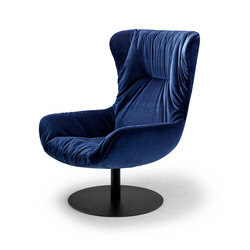 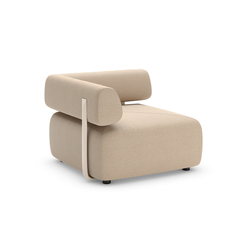 Jet is a light and elegant lounge chair that fits multiple purposes in modern spaces. 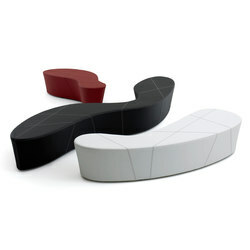 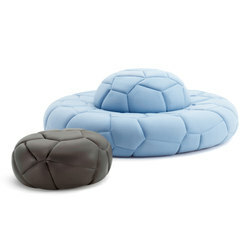 High quality molded foam. 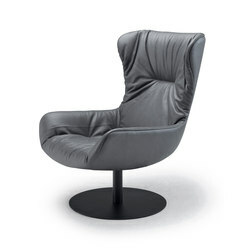 Stainless steel - return swivel.